Well the long wait to see John Gilmour back on Broadway has finally ended, as he’s been recalled along with forward Vinni Lettieri. Gilmour, 25, has a great line of 20-33-53 in 66 games with Hartford this season. He has certainly earned his call up. Lettieri, 24, has a line of 23-23-46 in 44 games with Hartford this season, equally impressive. Both are too good for the AHL. Gilmour may not have a future with the Rangers since he’s 25 years old, but he earned the call up long before anyone else, especially before Ryan Lindgren. 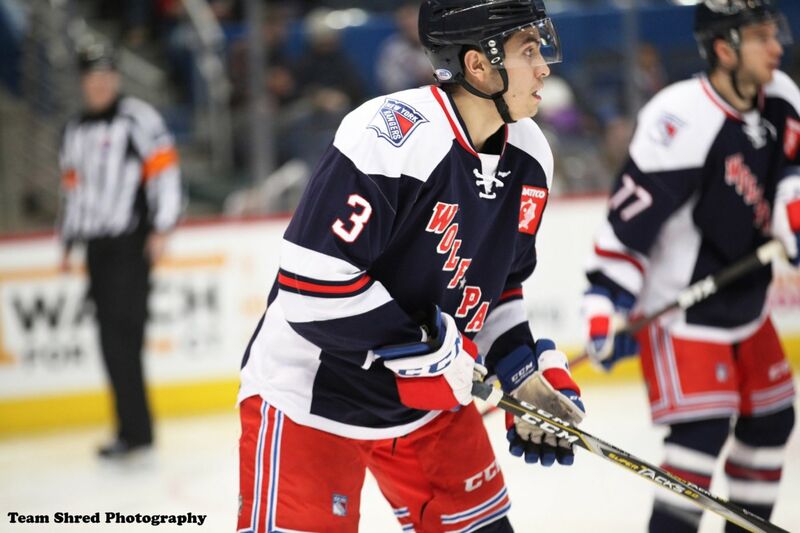 Lettieri has been up and down this year, playing in 18 games with the Rangers (no points). This might be his last shot to make an impression. This hopefully ends the 11F/7D experiment the Rangers have been running most of the season. Or it could just be a response to Filip Chytil’s absence from practice and tomorrow’s game with the flu, at least for Lettieri. They didn’t recall Gilmour just to sit, though. "Rangers recall John Gilmour and Vinni Lettieri", 5 out of 5 based on 4 ratings. Finally. Hope DQ sits Pionk a spell (fat chance) and let’s Gilmour play. Let’s see if Gilmour has developed any defensive smarts to go with what we always knew he possessed, good offensive instincts. I’d rather see him sit Staal(even fatter chance). LOL, now that’s funny, really!!!!!!!!! I’m glad to see you got a chuckle out of it Walt,I was just looking at what a buyout of Staal would cost us after this season & it would be 1.2 mil. over the next 4 years saving 50% of his salary,might be worth it. This is ridiculous, just what team do you think wants Mark Staal? Name one! There is none, he’s on the team for 2 more years. Last year will not see much ice. What happens if he retires? Nobody has to want him if you buy him out,not sure what you’re talking about. Wrong again,with a buyout they save 50%,not retain it,it’s time to brush up on your buyout knowledge. Wrong again,with a Staal buyout they’d be saving 50% of the money owed to him,not retaining it,time to brush up on your buyout knowledge. I like to see the AHL guys who work hard and produce get a crack on the Big Club. Gilmore was no worse in his own zone at the end of last season then Pionk and he also has been lighting up the lamp for the Pack. So what is there to lose? Good move Gorton. I was wondering whether the Gilmour Era would commence again. This is now official, the tank is in when they call up Gilmour. If Pionk is bad defending, this guy is worse………..We are going for the #5 position in the draft for sure!!!!!!! They already did that this year, made $100k on the farm, will likely double that being up for 3 weeks. A nice going away present. The thing is that Rangers already have 5 D under contract, with those guys needing to play minutes while there’s a possibility that Reunanen comes over. They just don’t have a slot for him, while he could go to Switzerland and make $800k with his production. Very true about Switzerland, but the NHL dream dies hard … not that a return isn’t possible but things have to look rather NHL bleak over here before a kid and his dream move to Europe. I think they’re pretty much mirror images of each other… where Pionk being the right-handed one seemed to have the advantage. Why Vinni , we seen plenty of him already ! So in other words Lindgren earned his call up before Hajak? What an absurd correlation. Why even bring up Lindgren’s name? Click and bait? What do you have against Lindgren Dave? Gilmour and Letteri are nothing more than AHL players, I am not buying the 20 goals by Gilmour this season. Rangers need a solid top 4 blue liner like Jacob Trouba. period. Has anybody really noticed just how bad Pionk is on defense? Although, I like his offensive side with his speed and his slapshot, it seems he is on the ice almost every time the opposition scores. Not physical enough to neutralize the bigger forwards (at times bounces right off them), and caught out of position continually. Gilmour should have been given a chance months ago. Hopefully he is better then Pionk on defense. He is as fast , if not faster a skater, and as much as a threat on offense. Although the same height, six foot,he outweighs Pionk by ten pounds. Maybe some of these lightweight defenseman should hit the weight room just a little more often. I know we need speed on defense, but not at the expense of bouncing off bigger opponents.